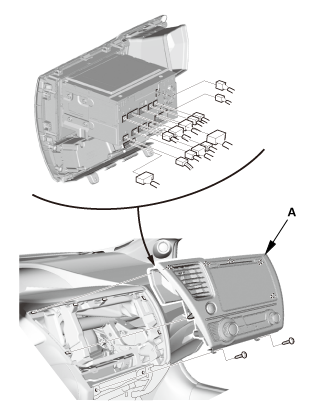 Remove the multi-information display unit (A). 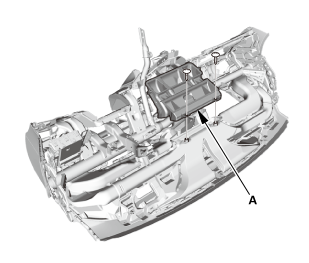 Remove the gauge control module (speedo) (A). 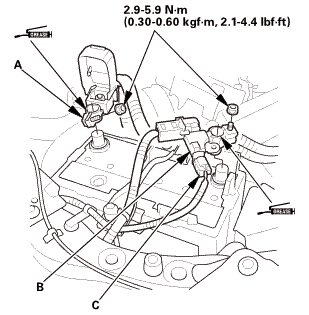 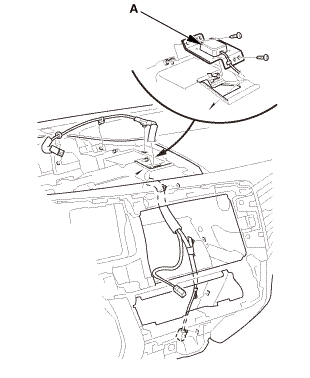 Disconnect the front passenger's airbag inflator connector (A) on the dashboard wire harness. 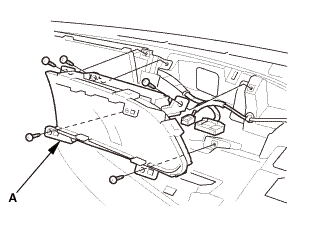 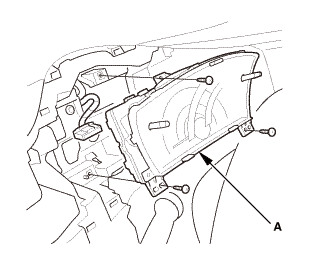 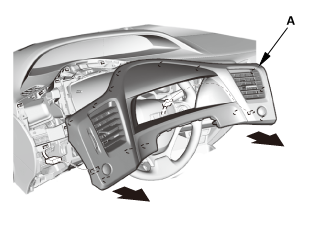 Gently remove the front passenger's airbag and lid assembly (A). 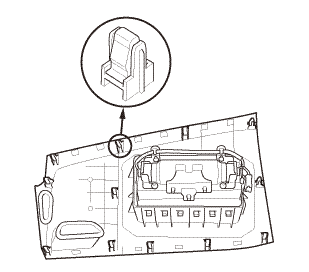 NOTE: The airbag lid has clips on each side where it attaches to the dashboard. 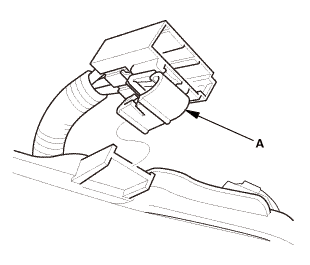 Detach the connector clip (A) from side edge of the dashboard. Remove the center joint duct (A). 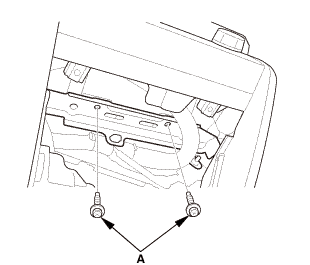 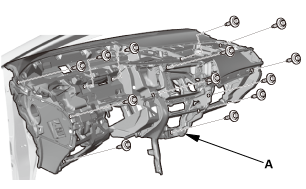 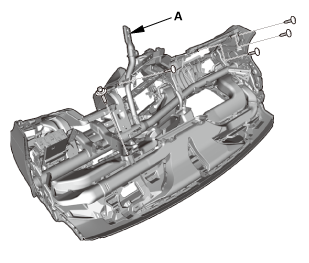 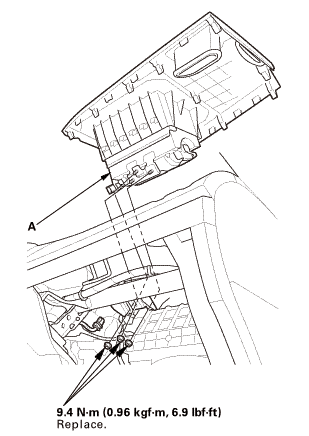 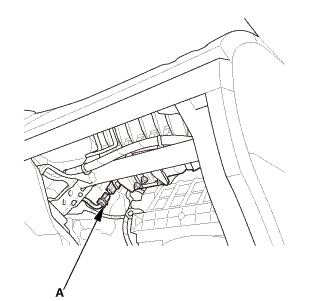 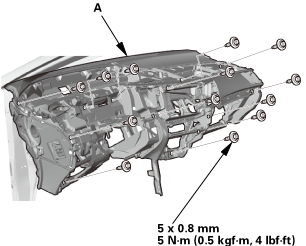 Remove the steering hanger beam (A). 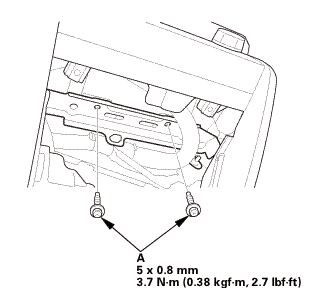 Install the steering hanger beam (A). 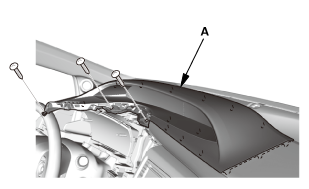 Install the center joint duct (A). 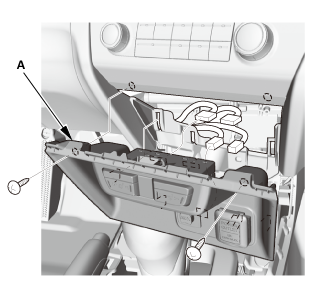 Install the connector clip (A) to side edge of the dashboard. 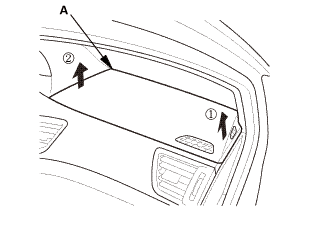 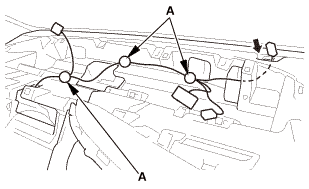 Place the front passenger's airbag and lid as an assembly (A) into the dashboard. 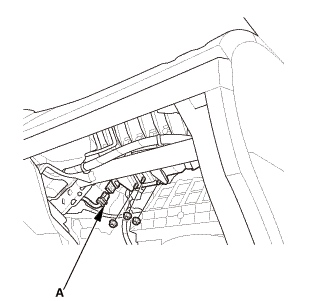 Tighten the new mounting nuts. 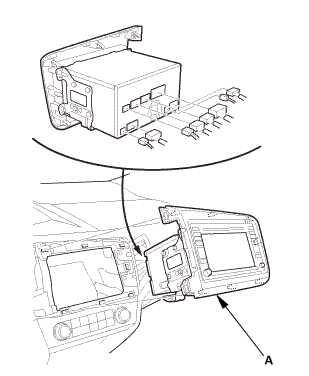 Connect the front passenger's airbag inflator connector (A) on the dashboard wire harness. 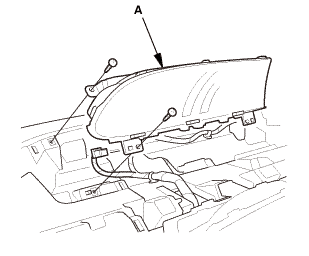 Install the gauge control module (speedo) (A). Install the multi-information display unit (A).